Today was one of my Love London days. More often than I’d like the cost of public transport here makes me recoil ad I stay in my own (admittedly very enjoyable) neighbourhood of Dalston-Shoreditch. 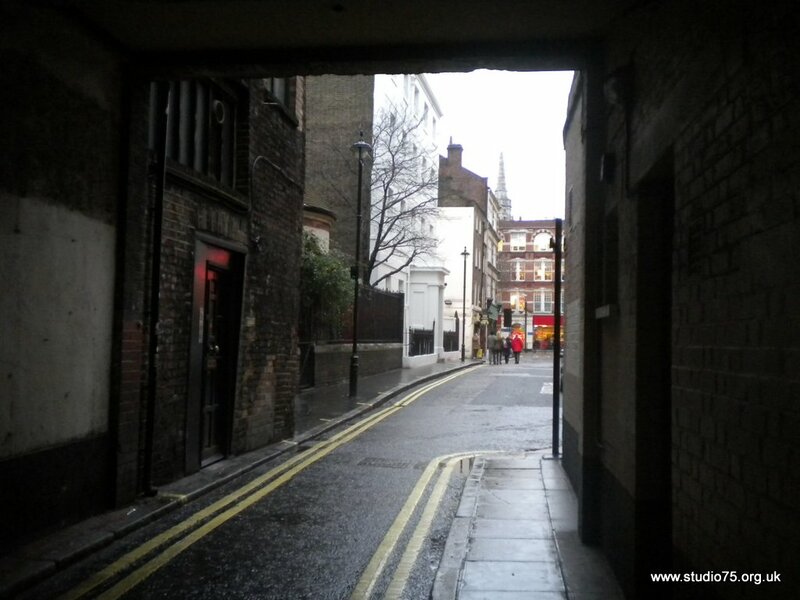 But sometimes I just have to be in the centre, in Soho. Today I had a quest – books. I’ve decided to eschew online shopping unless I have no other option, so I took myself to Charing Cross Road for the books I needed. I got them, and a few more I didn’t need but which I’ll read anyway. And I got a Miles Davis CD and a DVD of Radio On, a film I’ve been looking for. 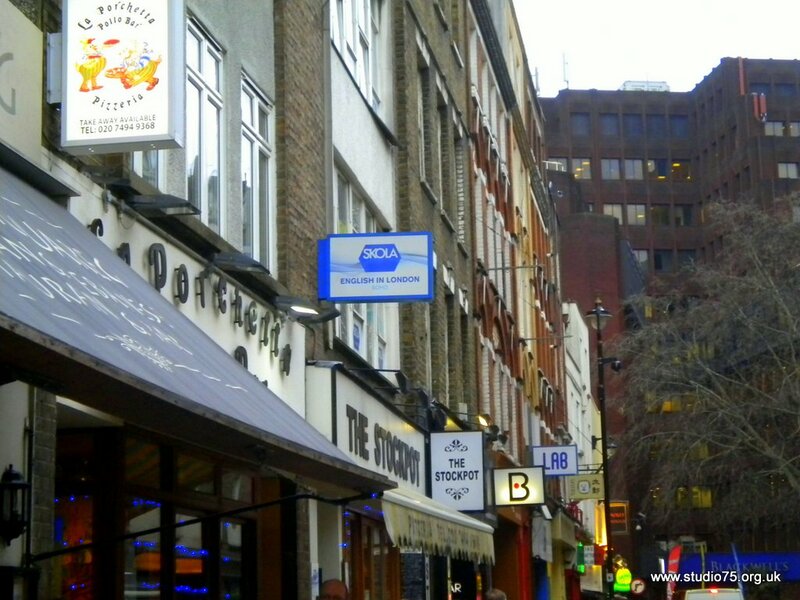 And a nice Soho wander and lunch. 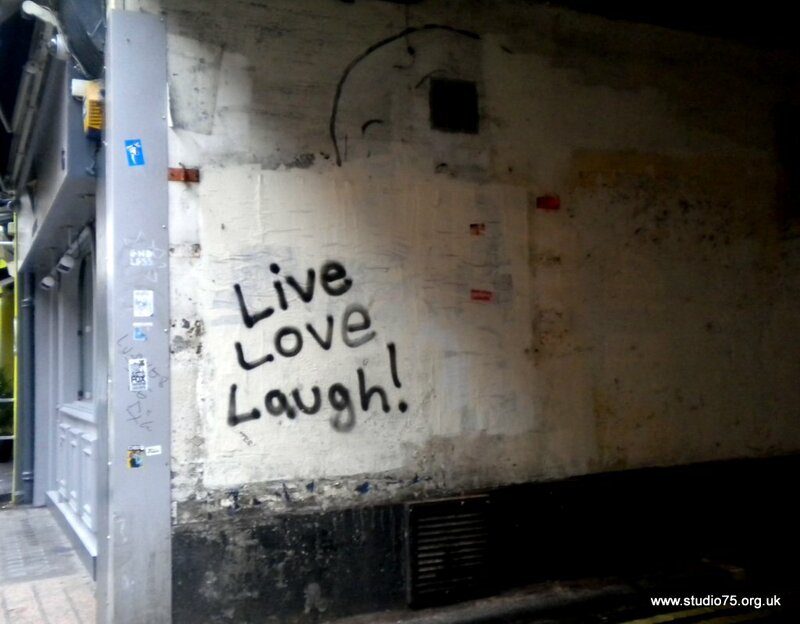 I love London. 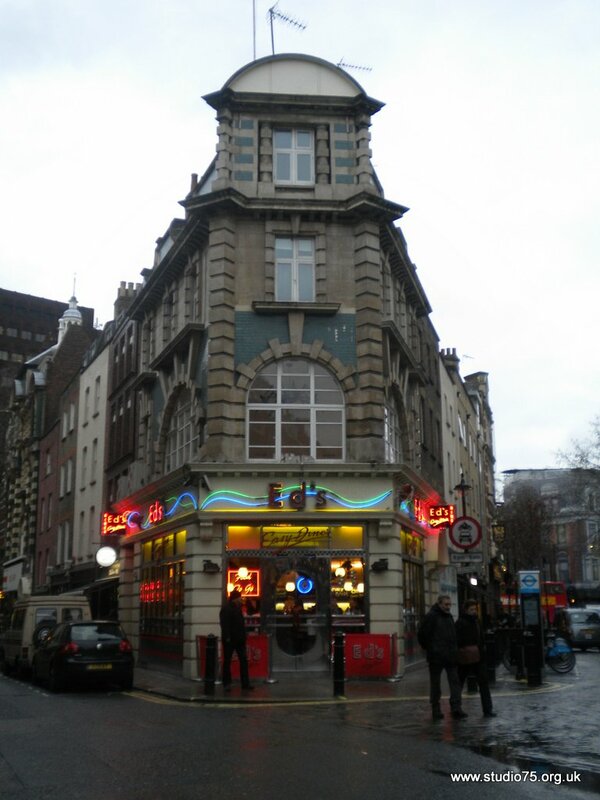 I STARTED AT DENMARK STREET where the music stores are. 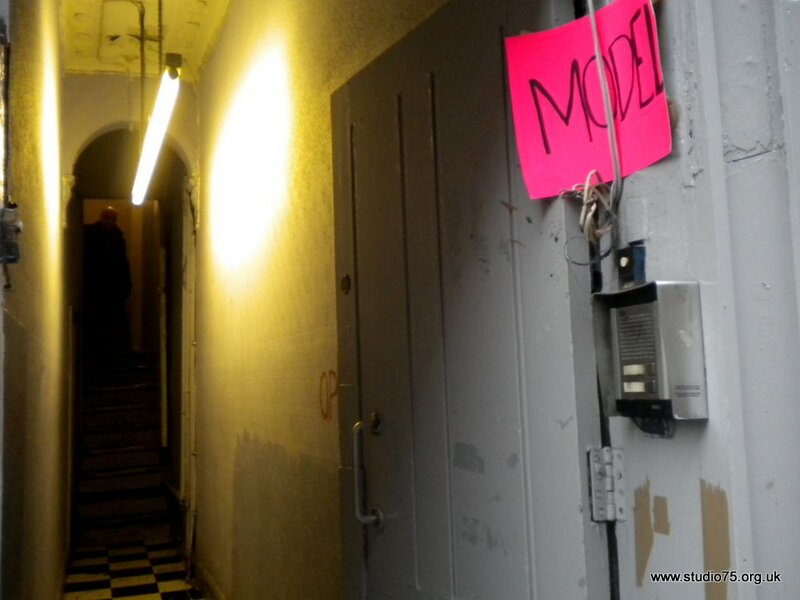 Soho clings to its seedy reputation in the face of the avalanche of chain stores and family friendly venues. but it’s bookstores that are my goal, wonderful bookstores. There is nothing better than a good browse, a click on the Internet is just not the same. 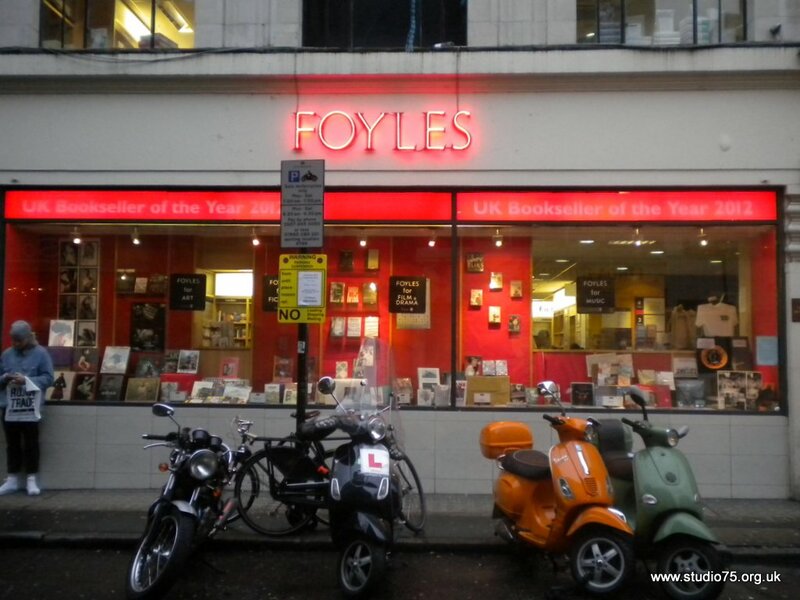 This is Foyles – I went to Blackwell’s across the road too – and got all that needed and more 🙂 Foyles also has an awesome jazz store inside, selling books dvds and music. 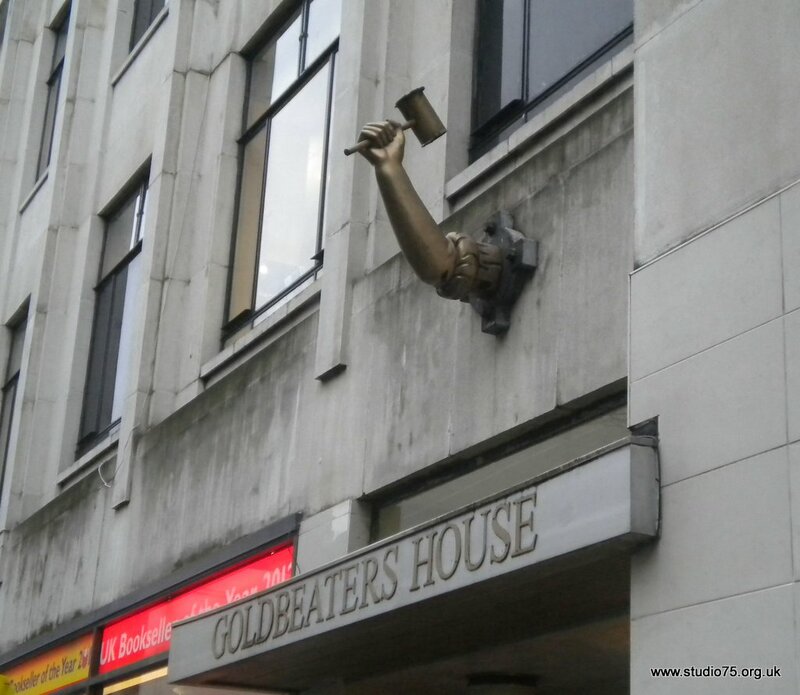 No I don’t really what “Goldbeaters House” is all about either but I do like this arm. standing under the Pillars of Hercules looking east. this is the first cafe I ever ate at in London; it has not changed. 1960’s style Anglo-Italian food at almost – 1960’s prices. While I still mourn the death of nearby Centrale, the Stockpot and Bar Italia around the corner keep Soho real for me. No chain cafe can do what these guys do. 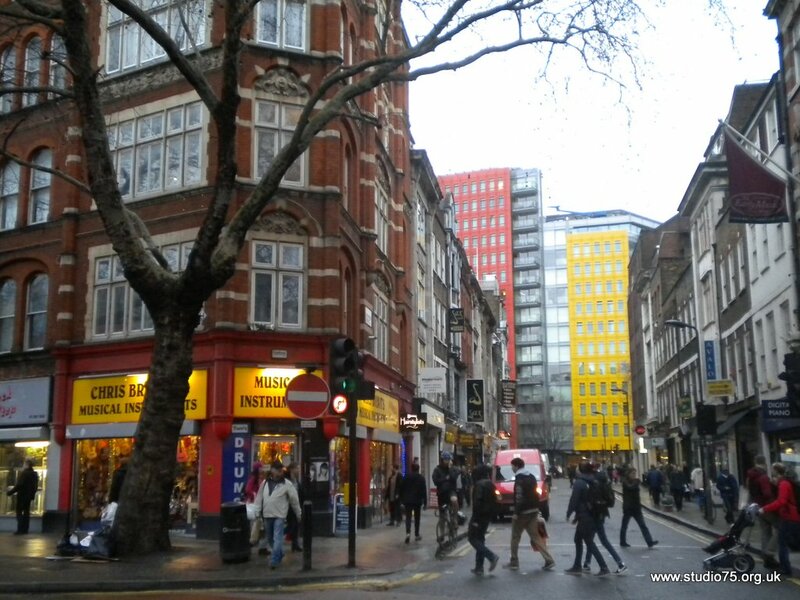 Actually it’s just a few days after Christmas and apparently people are in shopping frenzy at the sales, but in Soho it was peaceful and people just hanging out and, like me, buying stuff they actually wanted.